Here is part 2 of my interview with Jamie Arpin-Ricci, introverted church planter. Those of you that have read along, are you convinced? 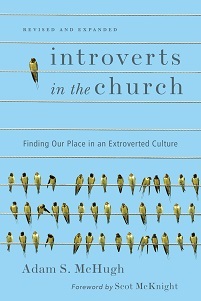 Can introverts be effective church planters? Adam: What is the hardest thing for you as an introverted, church-planting pastor? Jamie: The amount of time and energy required to plant and pastor a church is enormous, taxing for anyone (introvert or extrovert). Therefore, finding (and making) the time to rest, recharge and recenter can be difficult. This is further complicated for me when my introspective nature robs me of sleep because of a very full and active mind at the end of a day. Much of this can be tempered through intentional disciplines, but it is still taxing no matter what is done. Another dynamic was rather surprising to me. As a pastor, my deepest passion is to care for the well-being (body, mind and soul) of my fellow community members. This pastoral care ranks higher than the preaching/teaching role I fill. However, because my introverted nature tends to shy away from the casual, I can become easily overwhelmed with the depth and complexities of brokenness and need. Introverted church planters and pastors need to learn the discipline of social relationships. We need to learn to spend time with people socially, casually, recreationally. 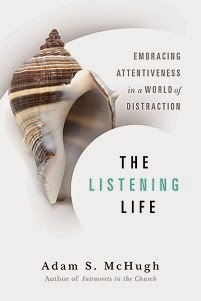 Otherwise we are prone to be overwhelmed by a focus on the “depth” we often pursue. Finally, because so many people have experienced extroverted pastors, there is also a common assumption that if you are a pastor, you must be like the others they have met. The expectations of style, relationship, time, etc. can be demanding. Thus, helping people understand that introverted leaders must relate differently is essential, making your book a real gift to the church. Adam: Lots of my readers want to know what to do when they've run out of social and emotional energy, but they are still required to be with people. What are your survival strategies in those sorts of situations? Jamie: The need for genuine community leadership is critical. I am not referring to a team leadership where the pastor/leader still bears the bulk of the responsibility, but a truly mutual group that shares the leadership of the community, as servants to the whole, with their diverse giftings and strengths. This, of course, means that the pastor/leader must also be willing to give up authority, a very challenging thing to do. As Christians we need to relearn the discipline of community discernment and leadership. It is no coincidence that what makes this difficult is closely related to what makes the introvert/extrovert dynamic difficult. I have given permission, even authority, to people in our community leadership to hold me accountable to self-care. This means that time off (often time away), healthy lifestyle (food, exercise, sleep, etc.) and persona boundaries are things they can (and do) speaking into my life about. Like community discernment, community accountability is complicated and difficult, but essential to over all community health. While there are times where “survival mode” is necessary, we must be brutally honest with ourselves that we are not seeking to fulfill unrealistic or unhealthy expectations- those of others and ourselves. Idealism is deadly, rooted in a pride with many facets- ambition, benevolence, guilt, efficiency, etc. The measure of our success must be obedience to God, not numbers or programs or even “souls saved”. We are called to love God and to love out neighbours as we love ourselves. If we do not care for ourselves, this reflects on the nature of the love we extend to both God and others.